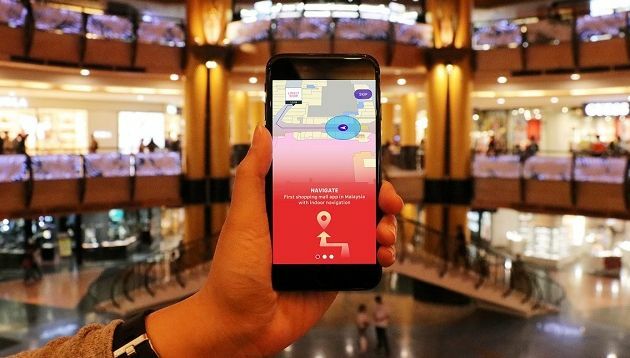 Sunway Pyramid has rolled out its shopping mall app with real-time in-mall navigation to reduce the time taken for shoppers to search for a physical counter or directory to get to their desired location. The mall is also working closely with the Google Indoor Maps team to integrate the Sunway Pyramid Mobile app with Google’s map engine for future versions. Besides the ease of navigation, personalisation is also key to Sunway Pyramid. As such, it introduced an in-app quiz that users can take to determine their shopping persona – Trendsetter, Digital Genius, Family Hero, Smart Spender or Golden Groover. The information gathered from the quiz, along with shoppers’ navigation patterns, redemption and browsing behaviour will be considered to further create content that is relevant and targeted for each user. Additionally, shoppers will also be rewarded for their usage of the app through app-exclusive rewards. Participating tenants include YSL, Laneige, Sulwhasoo, Yves Rocher, Chanel, Dorothy Perkins, Topshop, Topman, Miss Selfridge, Love Bonito, JD Sports and Coffee Bean and Tea Leaf, among others. In a statement to A+M, Loo Hoey Theen, director of marketing, Sunway Malls said the app was launched mainly to offer convenience to consumers rather than increase footfall and it will continuously encourage as “as many consumers as possible” to use the app. As such, Loo said there is no specific target on the uptake of the Sunway Pyramid Mobile app. The mall will be launching a full 360-marketing campaign on digital and on-ground. On the digital front, it collaborated with key opinion leaders to portray the app in a fun, entertaining manner to raise awareness about it. It will also invest in digital advertising to further drive interest among new and existing shoppers and encourage them to download the app, Loo said. Loo added that the on-ground activation will run from 12 to 28 April at Sunway Pyramid. According to Kevin Tan, chief operating officer, Sunway Malls, the app will be made available at Sunway Velocity Mall, Sunway Carnival Mall and Sunway Putra Mall soon. Tan said the mobile app is a “great way” to offer users with a peace of mind and personalised content, as well as exclusive rewards and offers for a better and more enjoyable experience. “We hope that the introduction of the Sunway Pyramid Mobile App gives them more reason to continue choosing us as their preferred lifestyle destination,” he added. In addition, Old Navy is also working with strategic partners locally to help amplify its reach to ensure that Malaysians know of ..
Lowe Malaysia has appointed Shukri Jai as its new client services director. ..